NGC 3532 is the large open cluster at upper right. The nebula at center is NGC 3572. 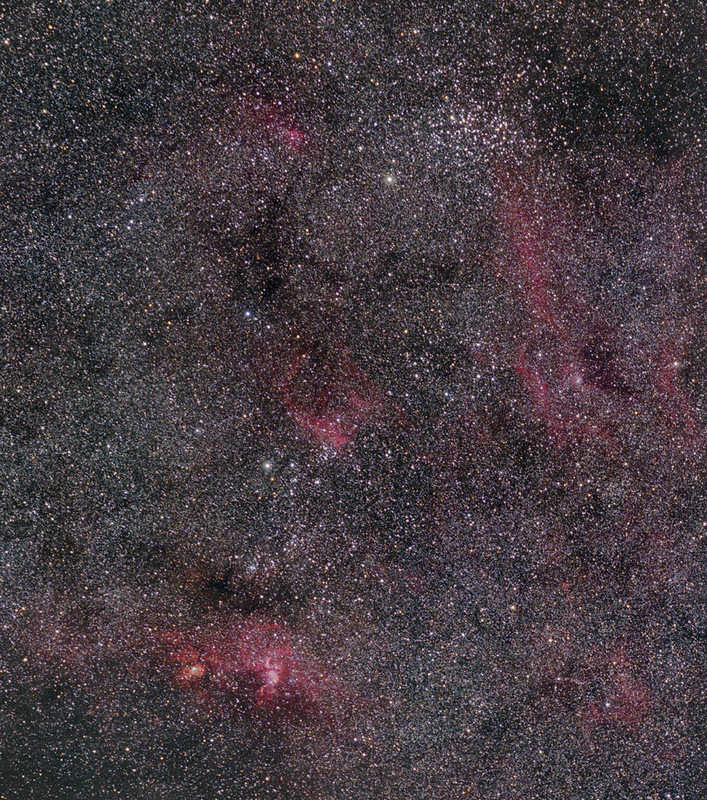 The magenta nebula at lower left is NGC 3576. The red nebula to the left of that is NGC 3603. There are many open clusters also in this view.